Lexus presence on the road amounts to a fleet of luxurious cars, but the high-end automaker has also been quietly taking over the seas in recent years. Its latest oceangoing beauty is the LY 650. The car brand partnered with parent company Toyota’s marine division to develop the 65-foot luxury vessel. Those who follow Lexus closely know this isn’t the brand’s first dip in the water. This design is a production version of the Lexus Sport Yacht concept’s popular design. While the former concept didn’t go into production, the briny-blooded can freely purchase the new LY 650, which is kith and kin. The yacht references language from its roadgoing vehicles via a series of “L-Finesse” design elements. Performance information hasn’t been released yet, but if the yacht is anything like the automaker’s line of vehicles, it’s sure to offer plenty of power. 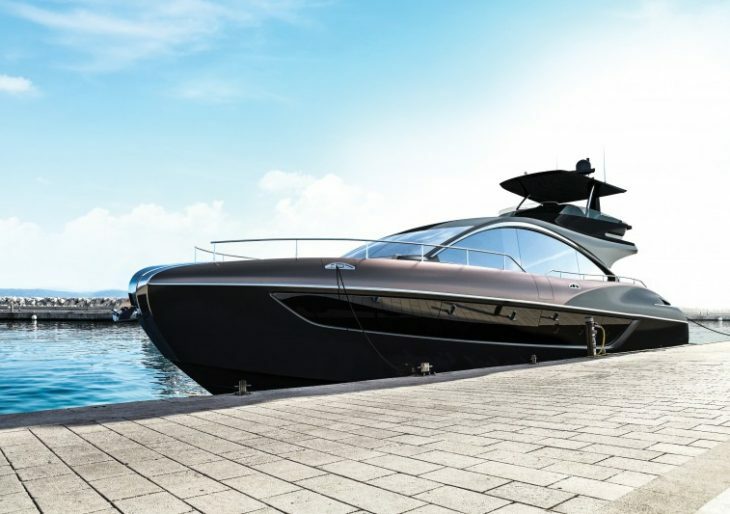 Customers can also expect the utmost in quality; Lexus has partnered with Marquis-Larson Boat Group to build the yachts. Interested seafarers can expect the first LY 650 to hit the water in the second half of 2019.